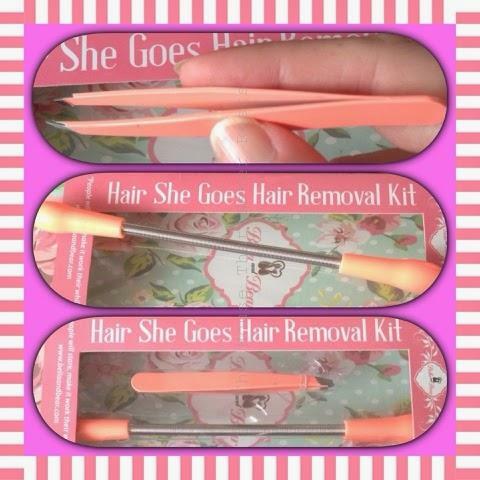 I have been using this hair she goes hair removal kit and I have been very impressed with it, this has been so easy to use and it has been very effective, it is a lovely size, you can tuck it away nicely in a draw or even keep it in your handbag if you wish, it comes beautifully presented in a lovely box so it can even be given as a lovely gift. This product is chemical free, 100% natural and there has been no animal testing done, I have found this product to be a much nicer way to rid the facial hair than waxing, and much more quicker than using tweezers just on their own. Hold the hair she goes at each end, you then bend it and place it onto your face, keep it in the same position and slowly rotate the rubber handles, clockwise and anticlockwise, whilst gently moving the remover in an upwards motion. That is all you have to do, and for those hard to reach places there is also a handy set of tweezers. 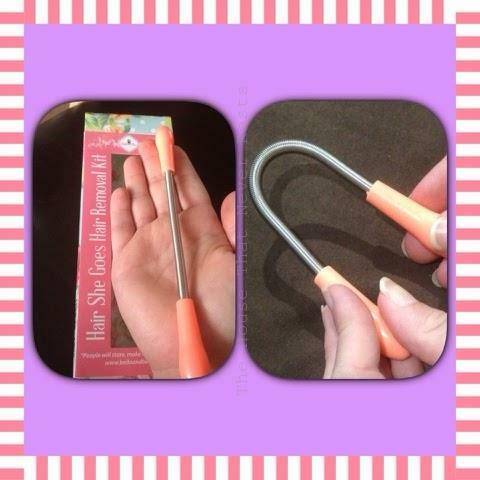 It works by gently plucking and removing the unwanted hair with the tightly sprung coil, it removes a few hairs at a time so it is much faster and much less painful than other ways I have tried. 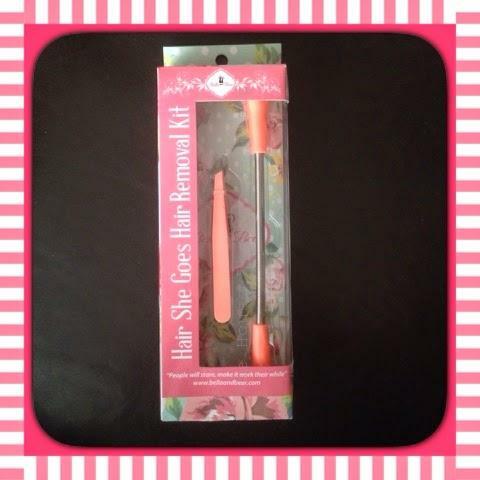 I have not had any irritation from using this hair remover kit, I have found it quick and easy to use, I have found it great to be able to naturally remove my hair without the use off waxes and creams. I wont lie, I did find this painful for the first few times I used it, but I find it much more comfortable to use now I have been using it more. This kit retails at £36 but there is a sale on and they are currently going for £17.99, if this is something that you would like to buy you can find the kit here. We have a 25% voucher code to offer all our readers that would like to purchase one of these kits, all you have to do is click on the link above and at the checkout add our unique code what is, Housetnr and you will get your 25% discount. How would you like to win a hair removal kit, all you have to do is fill out the rafflecopter below. Disclaimer : We was sent a hair she goes hair removal kit in exchange for our review and competition, all thought’s and opinions are 100% our own. Family / Lifestyle blog. Sharing our life's fun and adventures with teenage boys, Living in London. never done this before, only used tweezers and wax, both ouch! Great competition. I have never seen anything like this before. never used anything like this before! Not used before but would like to try. Hello and welcome to our blog. Thank you for stopping by. We are a North London family. We have three sons - Danny, Lee & Bradley. Two of which have girlfriends who also feature on our blog at times. We have two dogs - Coco + Hunter who we go off on lovely longs walks with on a regular basis. We are a fun thrill-seeking family who are always planning our next family adventure together. Don’t get burned by your kitchen! Find out more about which cookies we are using or switch them off in settings.